Previous clinical trials at the University of Florida (specifically NCT00305344) have examined whether an infusion of autologous cord blood stem cells into children with newly diagnosed type 1 diabetes will impact metabolic control over time, as compared to standard insulin treatments. Preliminary results demonstrate that an infusion of cord blood stem cells is safe and may provide some slowing of the loss of insulin production in children with Type 1 diabetes. 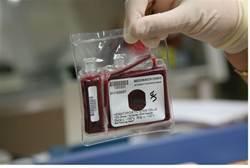 Another clinical trial will occur in the coming year will tests whether regulatory T cells (Tregs) isolated and expanded from cord blood units (CBU) will have more of an impact. As further testing occurs, we would like more CBU donations from the community so that we can better track the genetics behind the disease. If you would like to make a donation of your baby’s umbilical cord, please contact us. If you would like more information on Cord Blood Banking, we recommend checking-out the Consumer Affairs website.